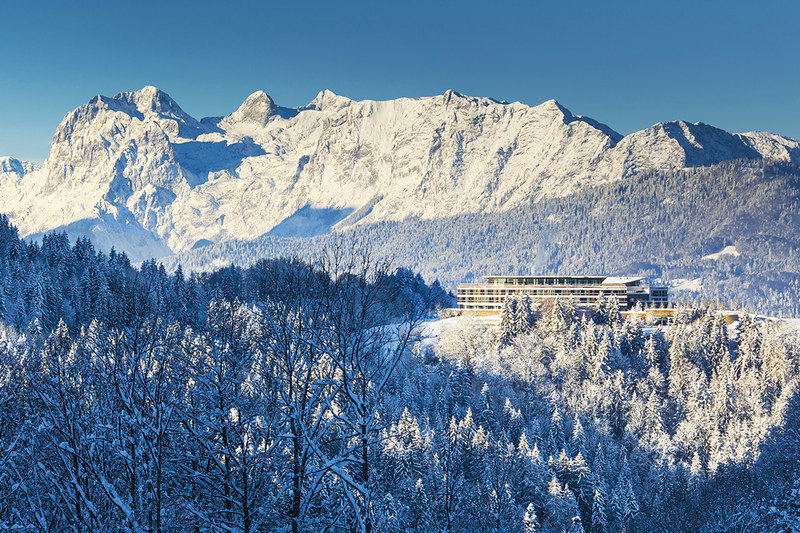 Nestled in the unique nature of the Bavarian Alps lies the Kempinski Hotel Berchtesgaden. 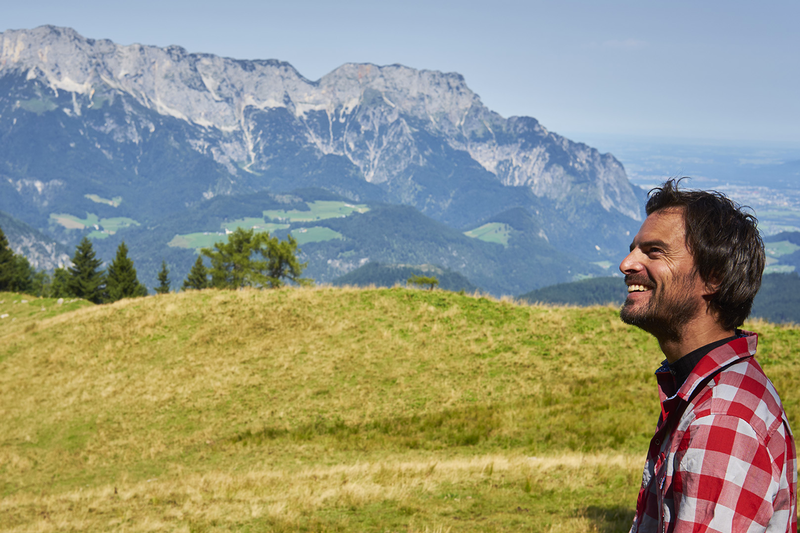 The mountain backdrop of the Watzmann, Untersberg and Kehlstein form a breath-taking panorama 1000m above sea level and offer the perfect starting point for numerous outdoor activities. 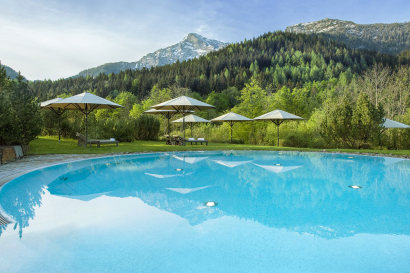 • Exclusive location on 1000 meters with beautiful view over the Berchtesgaden alps. • Activity Concierge who has the best tips for tours and activities in the surrounding nature. A unique blend of lifestyle, Bavarian originality, warmth, sportiness and recreation turn the Kempinski Berchtesgaden into a special location in the Bavarian Alps at 1000m. The Kempinski Hotel Berchtesgaden is the only 5 star property in the area. 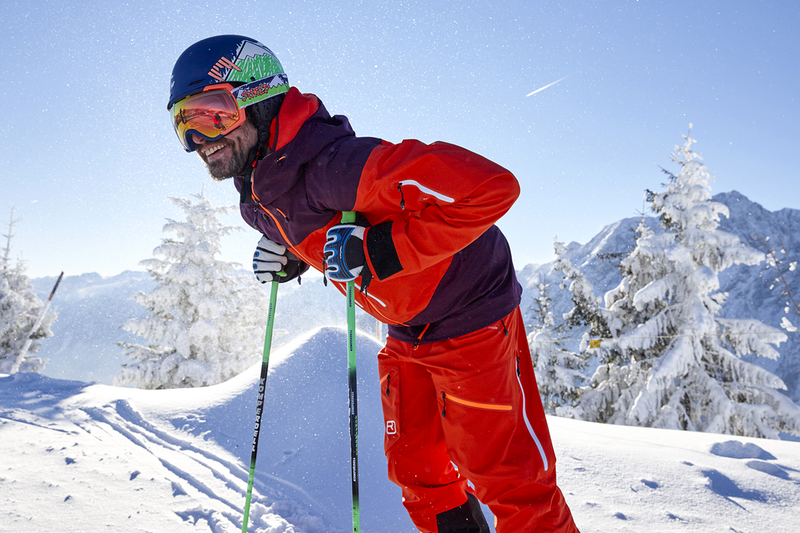 • Over 60 kilometres of pistes in total between 600 and 1,874m above sea level await you in the skiing and snowboarding areas of the Berchtesgadener Land. 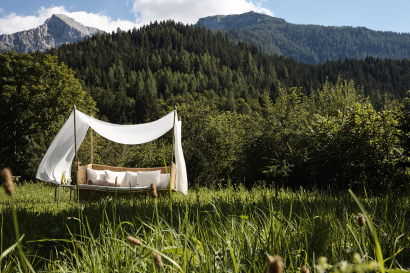 • Discover the glittering white mountainous world and untouched nature under an azure blue sky that is the Berchtesgadener Land. 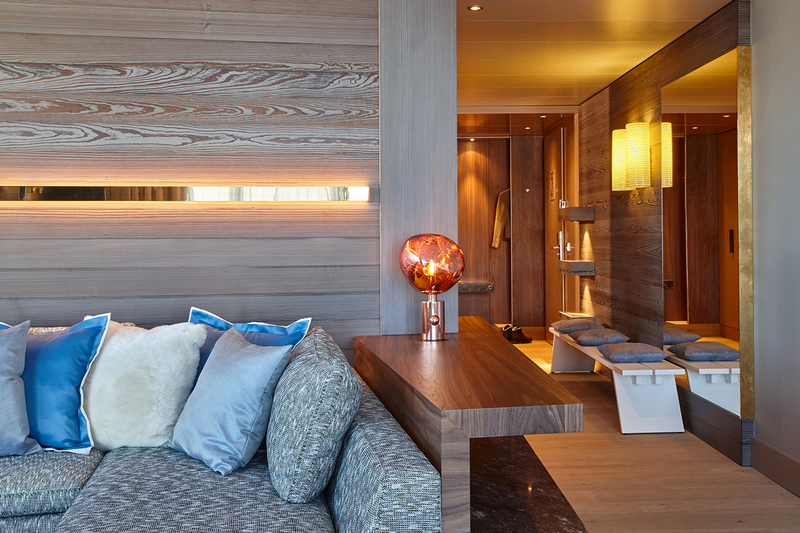 • Our Activity Concierge is happy to assist with special tipps for any occasion. • A fascinating world of pastures and mountains are waiting to be explored. A network of 230 km of hiking trails with different levels of difficulty are ready to be discovered. • Segway Tour, the Hi-Tec Mover will get you going these holidays! Environmental friendly and soundless – you balance on two wheels set on an axis and steer with a handlebar. • Heaven for all tobogganers – experience racy runs on six different tobogganing tracks in the Berchtesgaden valley. Only 20 min away from the hotel is the Obersalzberg Toboggan Run. There is also the Hirscheckblitz in Ramsau, or for special treat, the racing bobsleigh taxi at the ice-channel at Königssee. These are guaranteed to get your heart beating faster! • Like a fjord, the emerald green Königssee with its crystal clear water weaves through Germany’s only alpine national park. During the cross-over to the region’s landmark, the baroque pilgrimage church St. Bartholomä, the famous trumpet echo will be heard. Enjoy a luxurious stay in the rooms & suites of the Kempinski Hotel Berchtesgaden! 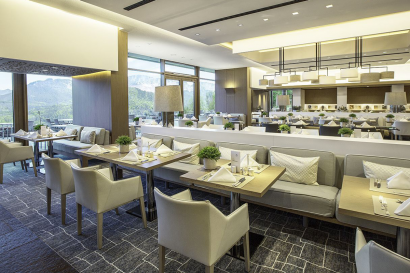 Enjoy the unique view over the Berchtesgaden mountain world without forgetting the culinary creations of Executive Chef Thomas Walter. Innovative cuisine with products from the region. 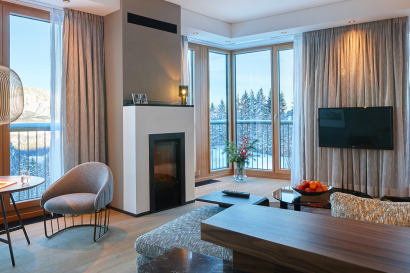 With an open fireplace to relax after a hiking tour and get pampered with sweet treats created by the awarded Pâtissier Michael Stahl. 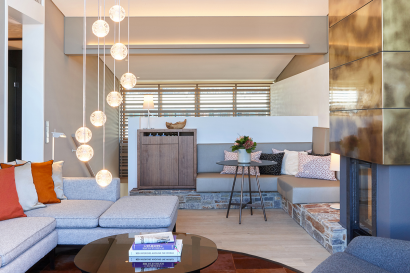 • Kempinski The Spa features a 1,400 sqm (15,070 sq ft) wellness area with indoor and heated outdoor pool, a finnish and a herbal sauna, steam bath with color therapy and meditation lounge with floating water beds as well as solarium and phyiotherm infrared cabin. • The Gym has the latest Technogym equipment. • Six conference rooms in the east wing of the hotel provide an ideal setting for events for up to 200 people. 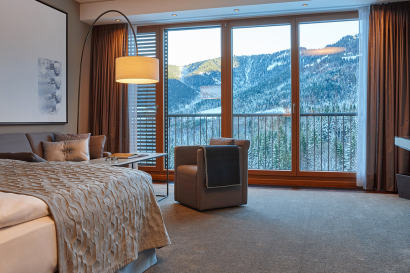 Large picture windows provide uninterrupted views of the surrounding mountains. Two of the conference rooms have vehicular access. 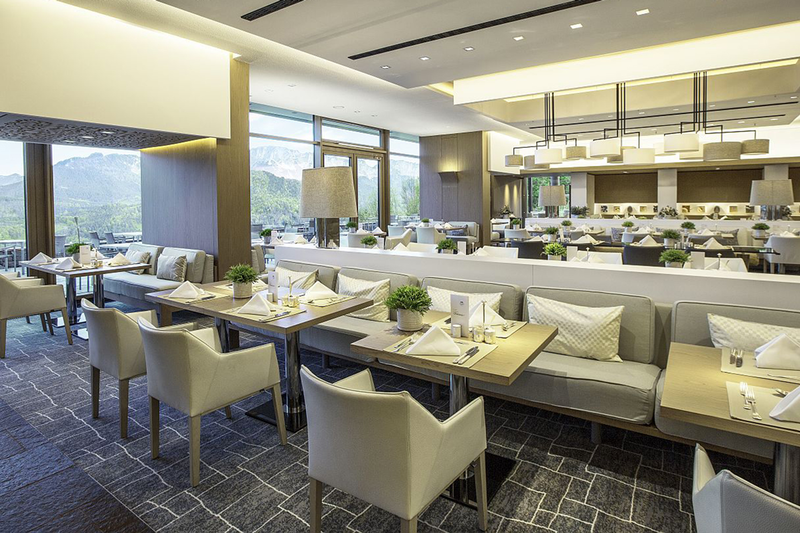 The hotel also has 4,000 m² of open-air event space catering for up to 4,000 people. • Families, but also beginners and proficient skiers, will find ideal conditions in the six skiing and snowboarding areas around the hotel and Königssee. 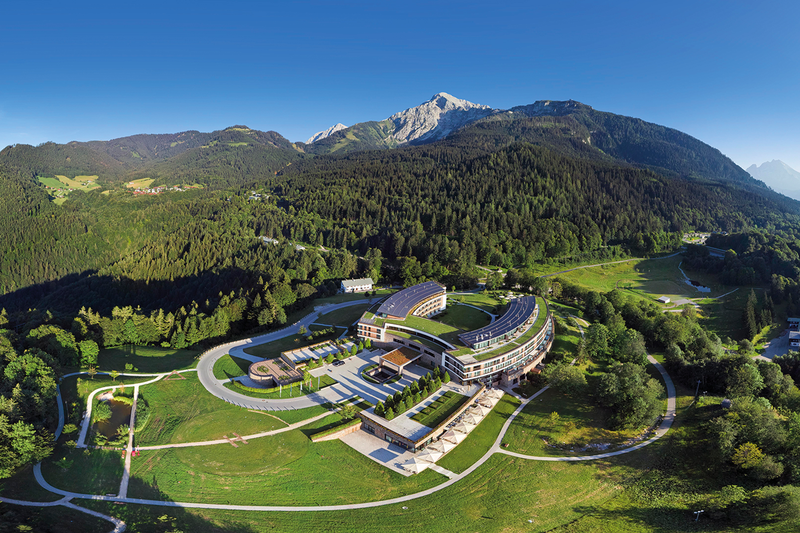 • Co-Operation with Mercedes-AMG : Take advantage of this opportunity to test drive the Mercedes-AMG GT S.
• Golf Course : Tee off from one of the highest 9-hole golf courses in Germany surrounded by the impressive mountain panorama.